Yesterday I mentioned that the HomePod’s balance and dynamic range stood out to me. Another observation that goes hand in hand with them is how the HomePod is able to produce clean sound with no distortion at maximum volume. This is a defining characteristic for a quality speaker, as a lesser quality device will start to distort more and more as the volume is increased. Again, this clarity and lack of distortion held true across multiple styles of music, with different instrumentations and dynamic ranges. The HomePod didn’t flinch when I cranked up Beethoven’s Ninth Symphony or Living Color’s Cult of Personality to max. The sound was still clear and the audio separation was still there. I found this impressive. As a music major in college who specialized in Percussion, I spent a lot of quality time with the Marimba. While this is not something that everyone is acquainted with, it has become the primary melodic instrument of the Percussion family over the last fifty years. If you are a Percussion major in college, then you are playing Marimba with two and four mallets from day one. One thing I learned during my years of playing and studying this instrument is that recordings of it can bring mere mortal speakers and headphones to their knees. The wide ranging overtones and resonance tends to make most speakers and headphones buzz. Every speaker I have owned in the past buzzed incessantly whenever I listened to recordings of myself or others playing. Until today, that is. I remembered that speakers tend to struggle with Marimba music, and found a couple of recordings in my iTunes Match library, as well as a few others on Apple Music. The HomePod didn’t seem phased by any of the recordings that I tried. No buzz is a good thing, in this case. I’m not going to pretend to be an audiophile, because I’m obviously not one. I can’t tell you why a lot of speakers buzz when trying to play back marimba recordings. I just know that they often do, and the HomePod doesn’t. You don’t have to be an expert to make an observation like that. Again, this is another one of those little things that puts the HomePod in a class of speakers that costs more than its $350 asking price. Your mileage and listening preferences may vary here, but I am quite happy with the HomePod’s maximum sound output. Again, this will come down to preference, and also how big the room is that you are using it in. I have mostly listened in my kitchen, which is probably around 400 square feet, and my bedroom, which is around 350. In rooms of this size, the max volume is actually too much for me, especially up close. The weather here has been nasty over the last two days, so I haven’t wanted to take the HomePod anywhere. However, when I do get a chance, I will take it to my parents’ house, which has a much more open floor plan. I am curious whether this will pose more of a challenge. Until then, I can say that the HomePod will easily fill a single room with plenty of sound. I said yesterday that Siri wasn’t as good for music control as I had hoped. I have had fewer problems today, but there are still limitations, some of which you will run into with other smart speakers and intelligent assistants. It can be a challenge to select alternate versions of specific tracks, remixes, and live variations without very specific track and album information. Sometimes, Siri still has issues with such requests, even if you do get very specific. I hope that this situation improves soon due to Apple’s acquisition of Shazam. Despite Siri’s struggles and lack of certain capabilities, I actually had a lot of success with some of the basics today. It handled simple queries and questions well, and was surprisingly fast with responses. I can remember the days when waiting for Siri was a common occurrence, so I was happy with the snappy performance. One example was when I asked for Winter Olympics results. I actually expected an, “I can’t do that” response, but instead I got the medal counts for the top ten nations. Unfortunately, that is all it can do. You have to ask for the Sports News from ESPN or NBC to get more details. I was able to get recent scores from LSU and Memphis men’s basketball games without issue. I was also able to add several items to my family’s Shared Shopping List, and then delete one. I did discover that I couldn’t delete existing items from lists (I was looking at my phone while I was doing this), but there is no problem deleting one that you add with the HomePod. I was also impressed with the speed here, as the items appeared on my list within a second of Siri responding to me. I also tried out other Siri basics. I asked for movie listings, and was able to at least get a general rundown of what was available nearby. I could also search for local theaters, but I wasn’t able to get a rundown of the movies at a specific theater. I was able to get the release date for the upcoming Marvel movie, Black Panther. I was also able to get a listing of the main actors and actresses from Wikipedia. However, Siri choked when I asked who the director is. Oddly enough, Siri on my phone had no problem pulling this information up, no matter how I phrased it. Here is that lack of consistency with Siri from device to device rearing its ugly head. Siri was able to give me local recommendations for steak restaurants, although these are limited to what Yelp has to offer. It would be nice to see Apple expand beyond having just Yelp as a food review source. I think source information is a common problem for Apple that hampers these responses. Siri seems to work fine answering questions when it has access to the right information, but Apple often has too few sources to give you the right information. They really need to get serious about adding data streams if they want to compete with Google and Amazon. I also tried asking Siri for answers to several math problems and a few number conversions before wrapping up. No problems here. The speed was also very good in this case. Where some of Apple’s data sources are iffy, Wolfram Alpha is not, and it handled these requests just fine. The other thing I tested was how well Siri could pick up my voice at low volumes. The HomePod’s mics did very well with this, as I was able to speak quietly from across the room with the Olympics on and still have it pick me up. It worked as long as I spoke clearly. If I mumbled or choked up a little (I am getting over a cold), Siri couldn’t complete the request, but that is understandable. Despite those small hiccups, the mics pick up low volume without issue when speaking clearly. They pick up requests at standard volume without issue. That’s it for today. Having some success with Siri was a little refreshing. The bar was low after yesterday, but these results were a little encouraging. The problem for Apple is that these kinds of features and requests are table stakes in this game of digital assistants. They have got to get beyond the basics and all of the limitations Siri has on the HomePod to become a real contender in this contest. 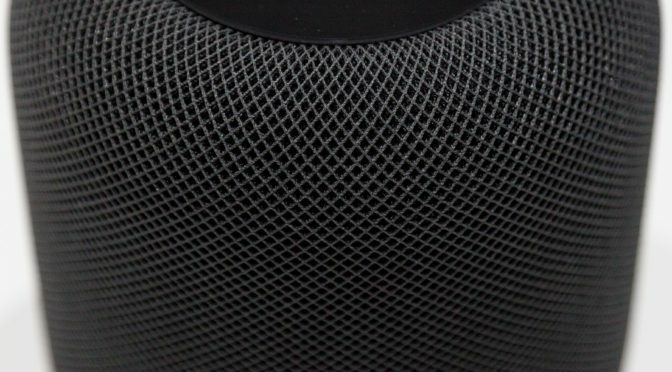 As for the speaker aspects of the HomePod…still great. I don’t expect to find anything different there, at this point. 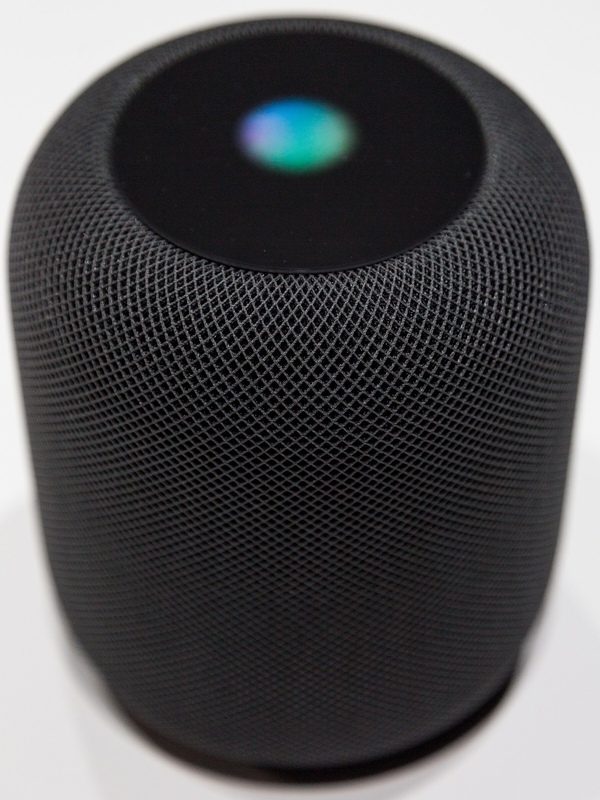 If you have any questions or comments about any aspect of the HomePod, let me know in the Comments section below, on Flipboard, on our Facebook page, or on Twitter @iPadInsightBlog.